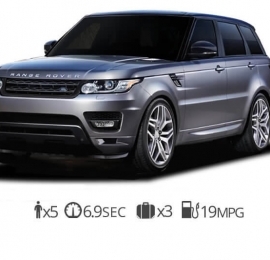 It was created to take on the toughest conditions of any continent. Get behind the drivers seat of a Mercedes G wagon rental while on your next vacation. The Mercedes G-Class AMG offers beautiful, richly grained Nappa leather that is fitted by hand to the G63 seats and head restraints. Nappa leather covers the comfortable seats, with more leather topstitched to the dash and doors. Polished wood and chrome accents add refined luxury, while advanced technology presents itself with modern style and functional elegance. Rent Mercedes Benz G63 AMG in Las Vegas and be surrounded in a Luxury interior with an industrial style exterior. For 34 years, it’s explored, endured and evolved to overcome any challenge and pass the test of time like no other luxury SUV on the planet. Originally created to be used in military, municipal as well as well as normal everyday civilian duty, the unmistakably ageless design of the G-Class is a complete reflection of the beast within. 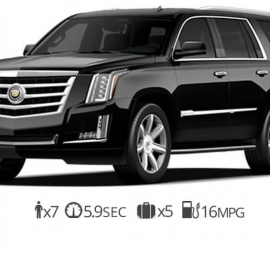 It is one of the most requested Mercedes luxury vehicles in Miami, NYC, LA and Vegas. 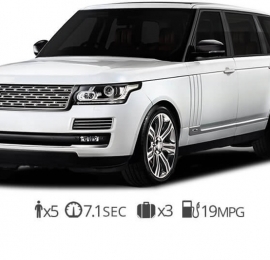 Getting behid the wheel of a g63 rental can make your next vacation more memorable. Rent a Mercedes Benz G63 in Vegas, it remains uncomplicated, uncompromised and functional, with a shape and size that maximize interior space while minimizing overhangs for better stability. Among the many discoveries possible in the G63 is the lost art of a cabin crafted almost entirely by hand. Abundant luxury can be seen from the G wagon’s high-end navigation system, deliver supreme technology with old-world quality and unsurpassed attention to detail in a Mercedes luxury car. 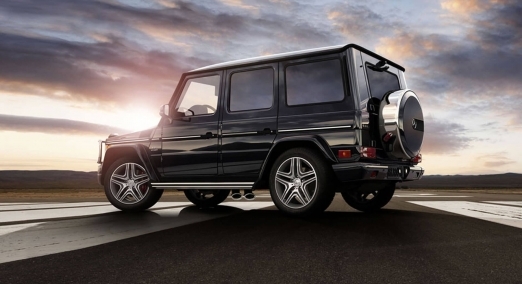 Polished stainless steel and chrome accents highlight the everlasting quality of the G Class. Up front, a chrome front grille guard frames the chrome three-bar grille and headlamps. Rugged stainless-steel running boards ease your entry like a king. And the rear-mounted full-size spare tire is protected by a cover trimmed in polished stainless steel showcasing the Mercedes-Benz logo. 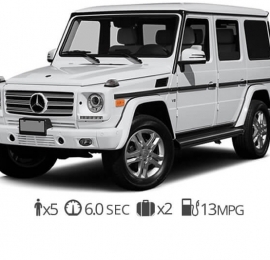 Hire Mercedes G-Class G63 Vegas today!